Enjoy a Tasty Thanksgiving Dinner Without All That Work! - Orders must be submitted by November 14th. 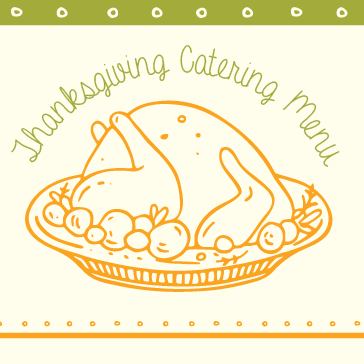 - Orders can be picked up in The View restaurant between 8am and 8pm on November 23rd. - Heating instructions will be provided. All turkeys will be prepared with champagne, oranges, apples & lemon sage butter, oven roasted to perfection.